Friday 23rd May 2014 – 11.00am – Claire Brown. A recently retired Shropshire paramedic made a surprise debut on the pitch at West Bromwich Albion Football Club’s last match of the season earlier this month. Bob Kelsey, 64 from Stottesdon in Shropshire, retired from the Trust in May this year after more than 40 years’ service in the Black Country and Shropshire. Bob joined in 1972 as an ambulance man in West Bromwich before working his way up the career ladder, working in various roles, before becoming a Station Manager in Donnington. 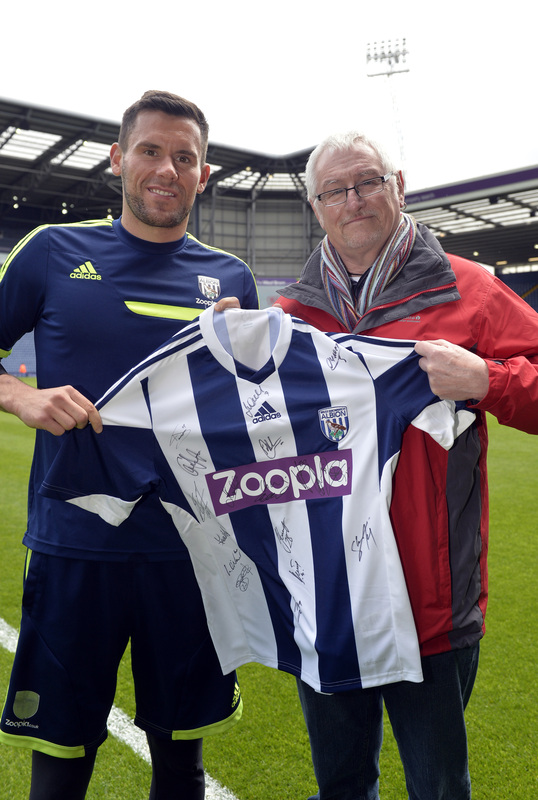 For much of his career, Bob has been on the side-lines for hundreds of fixtures at West Bromwich Albion as the Trust’s Match Day Commander providing medical cover to fans and players alike. 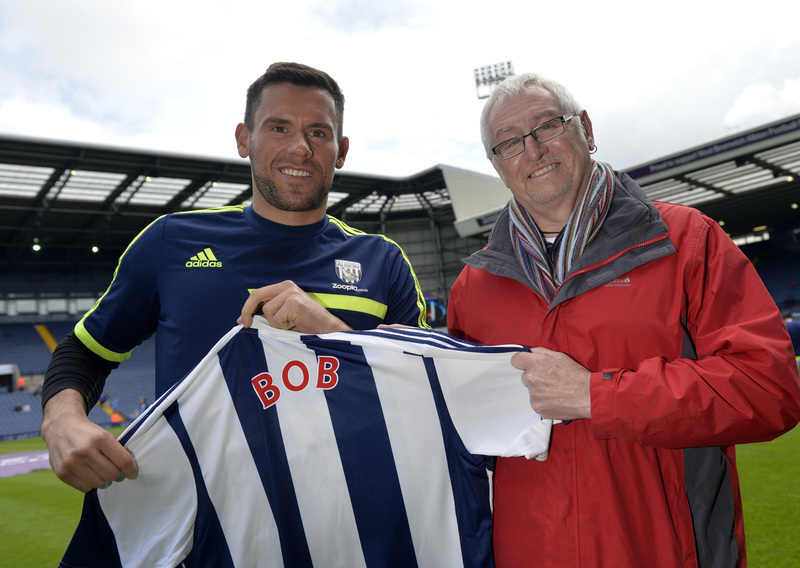 On Sunday 11th May, the clubs official medical team surprised Bob with a signed shirt, complete with his name on the back, presented on the pitch by goalkeeper Ben Foster. Bob said: “It was a real honour to be given such a send-off by my colleagues at West Bromwich Albion who I’ve worked with for many years. I’ll miss the banter of covering the Baggies, though I’ve still got a season ticket so I’m still going to be there, just not in a work capacity! “On the whole I’ve enjoyed my career, it’s been a good job and I’d definitely do it again if I could. It’s was tough keeping up with the youngsters in the end. I’ve worked everywhere, all around the West Midlands but mostly in the Black Country and more recently, in Shropshire.